Google announced its plans to sunset its Google+ social media network for consumers on a sour note in October. The platform, which has a small but dedicated user-base, decided to shut down following Google's acknowledgement of a data exposure that affected up to 500,000 Google+ profiles. Shortly after, in December, the shutdown timeline was expedited due to another, larger bug that had the potential to reveal private user information and impacted approximately 52.5 million users. Now, the company has detailed its shutdown timeline for the consumer version of Google+ — and it's not wasting any time. While Google+ will live on for enterprise customers (more on that later), Google plans to shoo consumers off of its platform at an exceedingly brisk pace — no doubt motivated by the breaches. In Google's own words, it's shutting down G+ in April 2019 due to low usage and "challenges involved in maintaining a successful product that meets consumers' expectations." Google notes that process of deleting content from consumer Google+ accounts, pages, and Album Archive will take a few months, so users may still see some of their content available throughout that time. Google+ for G Suite customers, however, will remain active, and Google even has some minor improvements to roll out for businesses using the platform. For consumers, though, this wild, roughly 8-year ride will soon come to an end. Find more details here in Google's FAQ on the shutdown, and make sure to grab your data if you have any cherished memories on the platform. There's the standard Google option, Takeout, but you may want to look into this third-party option, Google+ Exporter, which promises to export your info into a well-documented structure. It's free up to 3,000 Google+ posts. 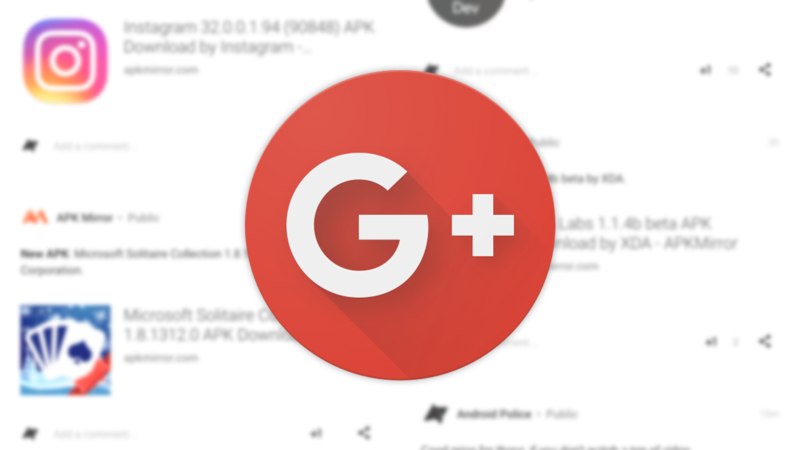 Let us know if you're sad to see Google+ go in the comments.